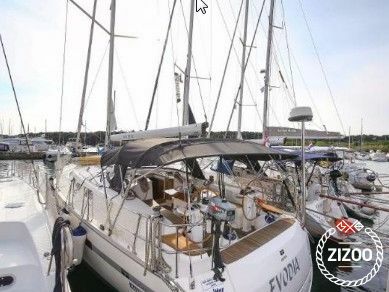 Built in 2010, the Bavaria 45 is an ideal cruiser for families and groups of friends. Available to charter in Pula, this popular charter yacht is suitable for parties of up to 9 persons. The interior layout features 4 double cabins and a well-designed kitchen that provides ample space for cooking and storage. The Bavaria 45 is easy to handle and reliable. You can learn more about the German boat manufacturer in our feature on Bavaria Yachts. For sailing tips, sailing routes and sightseeing suggestions for your boat holiday in Pula aboard this Bavaria 45 Cruiser, check out our guide and sailing route. Schöne Yacht und guter Service. Thumps up! Requested 29 times this week!